Florges White in game: 321 Who? Important notice! Pokemon Florges White is a fictional character of humans. Florges (Japanese: ??—??? 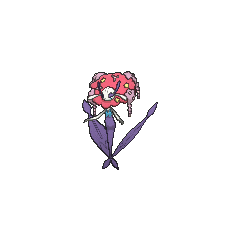 Florges) is a Fairy-type Pokémon introduced in Generation VI. It evolves from Floette when exposed to a Shiny Stone. It is the final form of Flabébé. 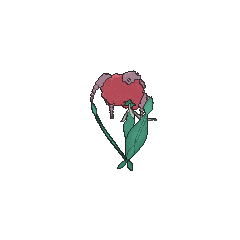 Florges is a Pokémon whose green lower body has two large leaves blooming on either side of its tail. 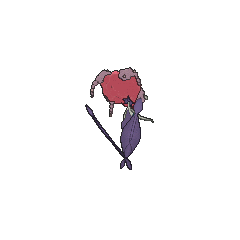 Its upper body is white and slender, with sylphlike arms that end in three dainty fingers; it has two black, diamond-like shapes on each side of its svelte torso. Florges's head is rounded with a pointed, upturned nose and long teardrop-shaped ears, while its dark-colored eyes are framed by lengthy green lashes. 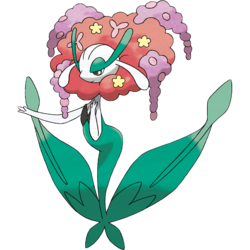 It no longer carries a single flower like its pre-evolution did, but instead a large bouquet of ornate flowers around its head. The color of its flowers depends on whether it held a Red, Yellow, Orange, Blue, or White Flower as a Flabébé. Florges claims well-tended flower gardens as its territory, and it basks in energy emitted from flowers to obtain power. It is a female-only species. A Blue Flower Florges made her debut in Defending the Homeland! where she was the presumed leader of the group of Pokemon attacking Goodra's wetland. In the end she was defeated by Goodra's Ice Beam. 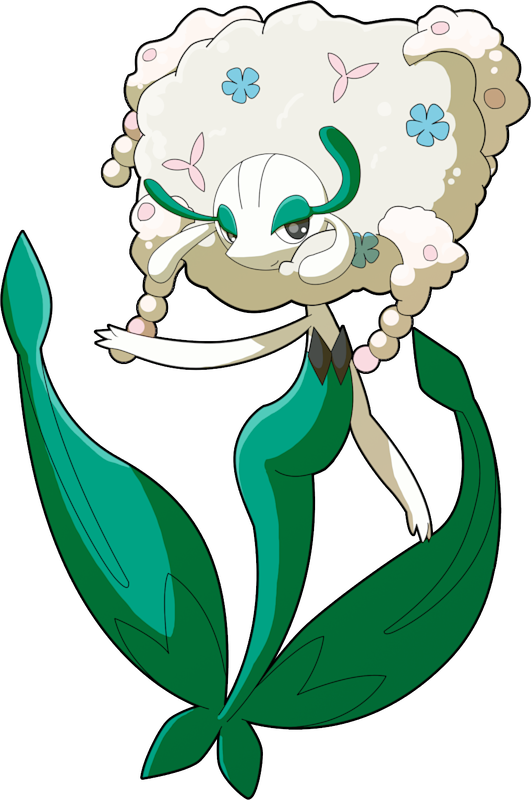 She did this to protect a Floette, and joined forces with Team Rocket. She reappeared in Beyond the Rainbow!, where she learned of Team Rocket's deception and teamed up with Goodra to help defeat them. She reappeared in Master Class is in Session!, Performing a Pathway to the Future!, A Diamond in the Rough!, Facing the Needs of the Many!, and Till We Compete Again!. 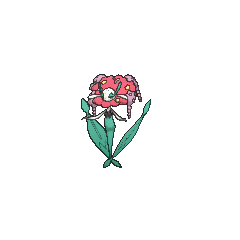 A Red Flower Florges appeared in Pikachu and the Pokémon Music Squad. A White Flower Florges appeared in A League of His Own!, under the ownership of Trevor, where she was used in his battle against Alain in the Lumiose Conference. Because only Blue Flower, Red Flower, and Yellow Flower Floette can be found in the Friend Safari, only these forms of Florges can have their Hidden Ability Symbiosis. Florges appears to be based on fairies and nymphs, in particular Anthousai due to its floral "hair". Its ornate flowery "hair" may also be a reference to the 18th century pouf hairstyle, which was notable in that the style would commonly use decorative items within the hair itself to convey mood and uniqueness. Its body structure resembles that of the hyacinth flower, which has large sturdy leaves projecting from the base of the stalk. Its design may also draw inspiration from mermaids.